My dog, Mocha, is very clever I believe, besides he has excellent hearing ability and patience. He is attached to me, and I feel lovely about him too, except for only one thing. That is, he is too dependent on me. When he feels a sign of my presence in the house, he starts barking even at midnight, until I show up in front of him. It is a nuisance to the neighbors. 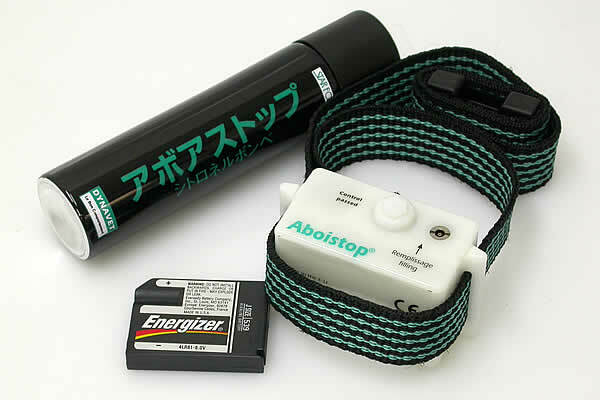 The other day I found a barking stop device on the internet, Aboistop, which makes a dog stop barking. I ordered this as quick as a flash and tried this device. The effect of this device was great. Whenever Mocha barks, this device jets out some chemical substance which smells bad for him and is harmless to any creatures. Mocha doesn't want to smell bad, so he got not to bark when the Aboistop was hung from his neck. I'm grateful to Aboistop. I put this around his neck every evening. Today a sceptic tank inspecter came to my house and checked the tank. He took a sample out of the tank, and did some chemical tests on site. It was good to know that the tank was working successfully. By the way, I'd never thought about how water-purifier tanks work. On second thoughts, if there weren't any of these devices, this world could really be a disaster. I'm afraid of how the toilets must be in the developing countries or quake-devastated region in Indonesia. They must be dirty and in an unsanitary condition. I thought of all the poor people in the world while looking inside the tank. My wife and I were going to enjoy a rare day off with driving the Mercedes today. My hometown is on the Seto Inland Sea coast and we would drive the car along the coast. When we got in the car and were about to start however, the engine didn't start. I tried to start the engine again and again in vain. I called a repairman and he detected the cause of the trouble. The fuel pump didn't work. The fee of the repairman and towing was covered but the repair fee of the car was estimated at over 1,000$. Though my Mercedes is not a lemon, I believe, I was sad. The car that hasn't had a breakdown up to now for 15 years would be bound to fail from now on. Good sake and tasty appetizers ... this is heaven. I was called for dinner by my co-workers from the previous hospital where I worked. Because I drank too much 2 days ago, I'd like to have said no! However, I couldn't refuse their call. I might be a born alcohol drinker. The name of the Japanese style pub is "Yumeji". Mr. Yumeji Takehisa is a painter from the Taisho Era and famous for paintings of beautiful ladies. Yumeji-related goods and paintings were exhibited on the wall of the pub and the pub's atmosphere was different from that of an ordinary pub. I liked it. The food was good. Next time I visit, I'll be sure to take a snapshot inside the pub and show you. A new Italian restaurant opened near my hospital recently. Viola is the name of the restaurant. Every time I pass by the restaurant, I have been seized with an impulse to visit the restaurant. I finally got a chance to go out for dinner there today. I'm a member of an English speaking club of working people. I went out with them. Speaking of Italian food, I knew only of spaghetti. At the restaurant many kinds of Italian food were served to us. I was surprised about the variety and enjoyed the tastes. I drank a little too much wine. I started learning Visual Basic to simplify the procedure of admission. When a patient gets hospitalized, I have to fill out lots of forms. A Treatment Plan for the patients and their family, an Order Sheet for the staff, Medical Information for their family doctors, a Cost Sheet for clerks, a Formulation order for pharmacists, a Radiological order, Labo test, ,,,. I decided to make a PC fill out the routine formula. VB is not so easy, but interesting. It's like assembling a plastic model. I lost two longtime acquaintances recently. One is a work associate, four years my junior. 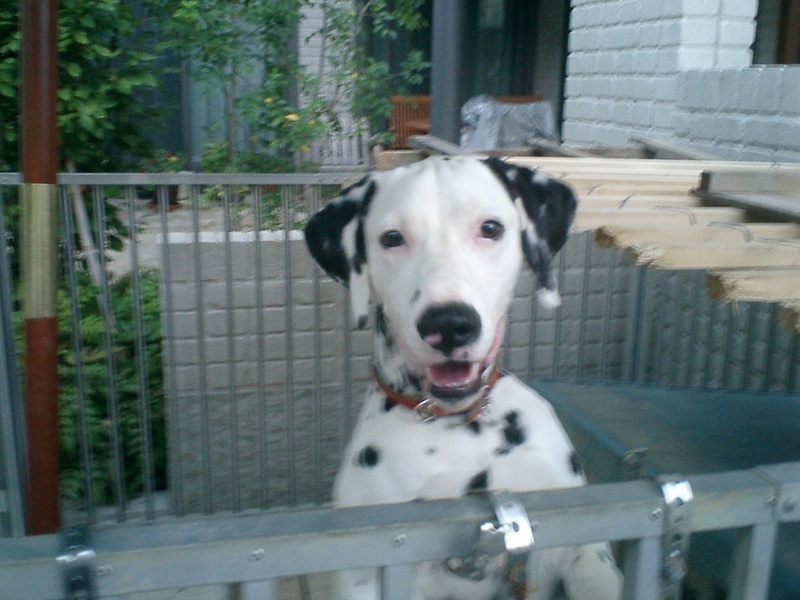 He had been suffering from a liver disease for a long time and he wasn't able to recover. I used to work with him, and sometimes go downtown with him. He was a nice guy. The other is an old gentleman who had been working as a bar hostess(!) for more than 50 years. He was a real man and always served in drag. He was not a man and not a woman in the bar. He had a distinctive character and was very popular among customers. When I was in difficulties, he would help me get focused. His age was in the late 70s. He had no family and no relatives, and no one knew his registered name, so he ended up as a John Doe in a Potter's Field. I found myself trying to find the answer to the philosophical inquiry "What is life?" I can't help but be skeptical about the Korean media. The families of the victims of the abduction by Kim Jong-il visited Korea today. They are very famous in Japan for trying to get their families back from North Korea. The Japanese climate of opinion is cheering them on now. I expected all Korean medias would handle this problem sensationally and it could trigger the Korean people's movement against Cruel Tyrant of the North. However, the Korean TV medias didn't take the time to broadcast about this issue. I didn't know why? Although North Korea kidnapped many South Korean people in a couple of decades, why can those media be indifferent about it? I heard the South Korean government seems to have the power to shuffle the personnel of TV companies. Unbelievable! Is South Korea a socialist country? The current government of South Korea seems to want to have a good relationship with the Evil North that has a national project to produce stimulant drugs, fake bills and fake tobacco. I think the authorities don't want to upset the North even if their people were kidnapped. I hope the Grand National Party wins the next election. I have a good feeling about the leader of the party and her mother, though I hate her father. 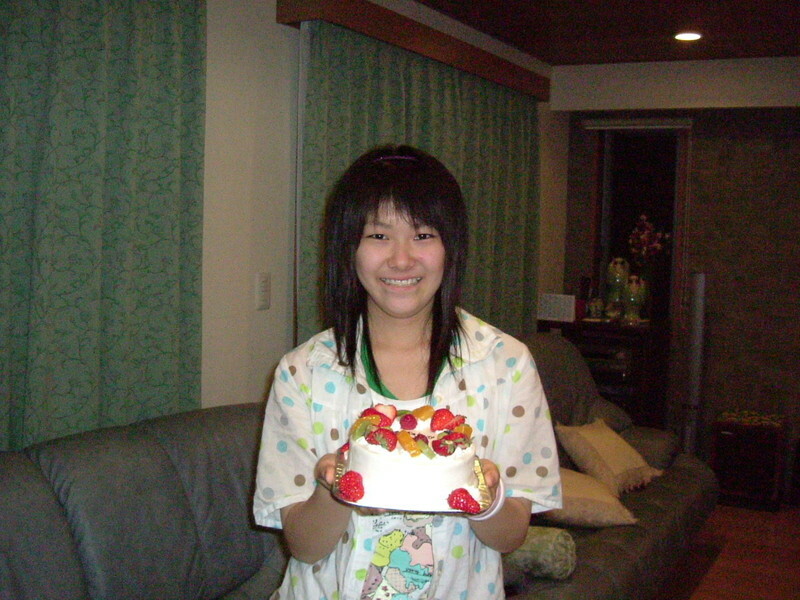 My eldest daughter is 19 and lives away from home because she is attending a university in Tokyo. I have to send money in order to provide her with her university and daily expenses. I heard that average American students are working to get money for their university fees. Is that right? My hospital is located in the heart of the city and several banks and a big post office are in the neighborhood. You know, it is a very convenient site. It's the reason why I have to send money instead of my wife. I have a break during lunchtime and go out of the hospital. I usually drop in at a convenient store to get some snacks and cakes on the way. I got a pot noodle (as the photo shows below) today for a midnight snack because I have to stay at my hospital overnight. By the way, what do you call this noodle in English? 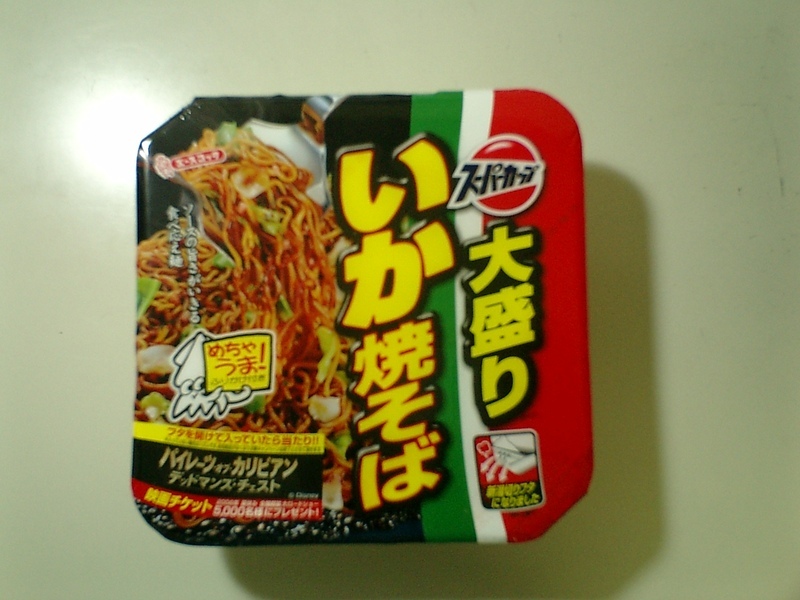 If you pour the boiling water into the container, you have delicious pan-fried noodles in only 3 minutes. Please teach by e-mail. As I wrote in the Interests of About field in the left column, riding a motorcycle is one of my hobbies. 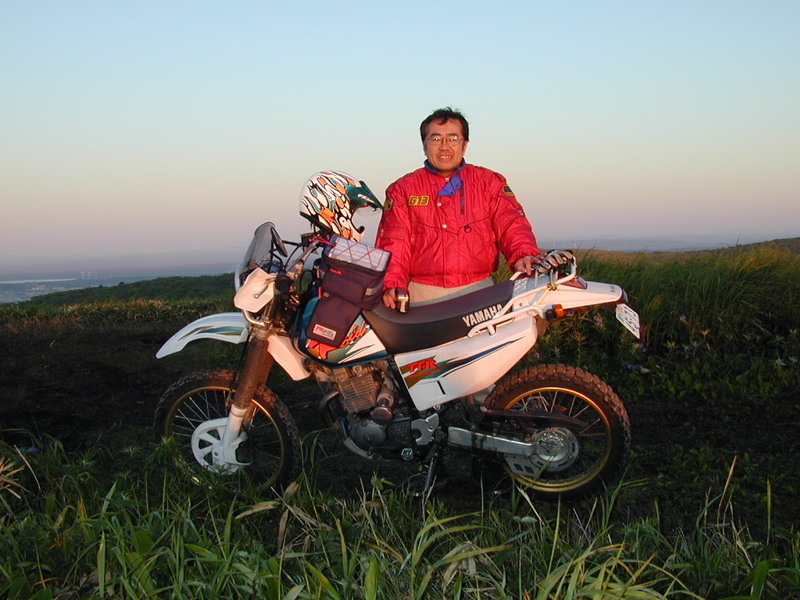 I have an offroad motorcycle as shown below. I use this for commuting, sometimes go on a day trip and take a long ride once every couple of years. I want to ride it all year long. 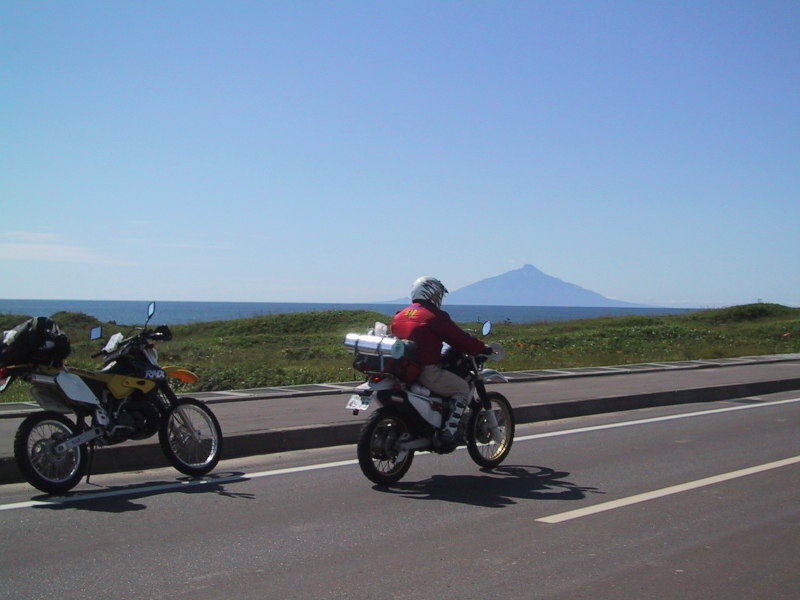 However, it's freezing cold in winter to ride, though my hometown is located in a warm area in Japan. Anyway my motorcycle was sleeping in the garage in the winter and its battery was completely down. I charged the battery today, and my motorcycle was brought back to life. I enjoyed riding around my house for a while. West coast of Hokkaido. You can see Mt. Rishiri-fuji. 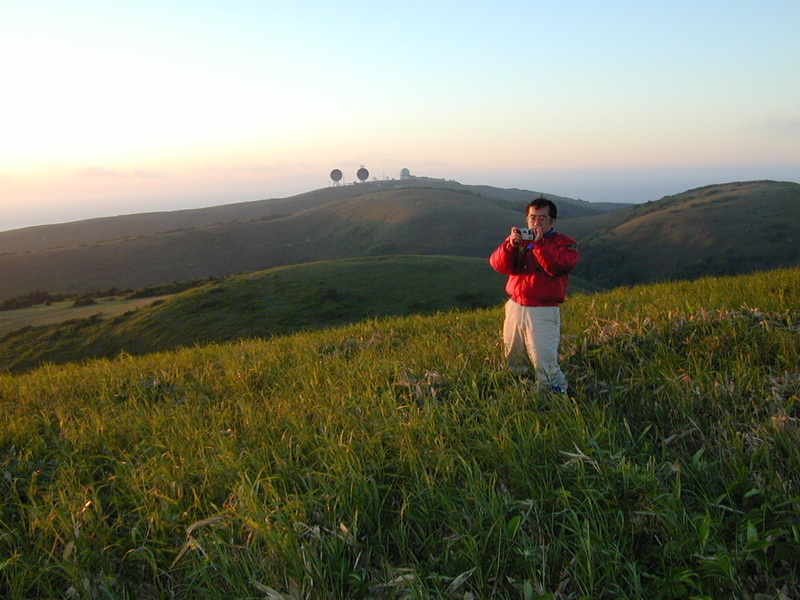 On the hill of Wakkanai in Hokkaido. You can see the radar facility of Japan Self Defense Force. North and South Korea and China have been accusing Japan of several problems. I have opinions about each of these problems. I'd like to mention my opinion here from time to time. I've read the Japanese history textbook of which the Korean government requests a revision because they don't like its description. I couldn't understand where it is bad, or incorrect. If you can read Japanese, see the article below. I'm sorry I couldn't find the same article written in Korean. I know two Koreans privately. I'd asked them about the Vietnam War. They didn't know that the Korean government dispatched their troops to Vietnam and committed many crimes, besides not apologizing about it. It's no wonder because they haven't been taught history correctly. I'd like to shout at Korean people, " examine yourselves before criticizing Japan." This Sunday is parents' visiting day at my youngest daughter's junior high school. Parents can also observe classroom instruction. My wife and I visited her school. I could see how she parks her bicycle at the parking lot, how she puts her shoes on the shoe box, how the school store is,,, and so on. We had a good day. Open Day will provide a unique opportunity to meet PTA members. I met a couple of friends from my boyhood. They have sons and daughters in the same school. We will have a longstanding relationship. I and my youngest daughter, A, took my dog, Mocha, to the vet. She wants to be a vet, so she was happy to see a vet. As for me, I wasn't so happy because I had to pay a consultation fee. Mocha has no medical insurance and I have to pay a lot. He has been releasing my accumulated stress every day. I cannot but take care of his health. distemper vaccine, infectious canine hepatitis vaccine, infectious laryngotracheitis vaccine, parainfluenza virus vaccine, parvovirus vaccine, canine leptospirosis vaccine, vaccine against rabies, labo test for checking filarial infection and antifilarial drugs for 6 month from now. It cost 26,000 yen (about 230 US$). This is the fee for medical treatment for a year. Is it high or not? Today is the birthday of my second daughter, Yuri. She was born 18 years ago. I remember the moment as if it were yesterday. I paused to realize the proverb that time and tide stay for no man. Though my family is a party animal family, everyone has their schedule today, so we had a small party at my home. 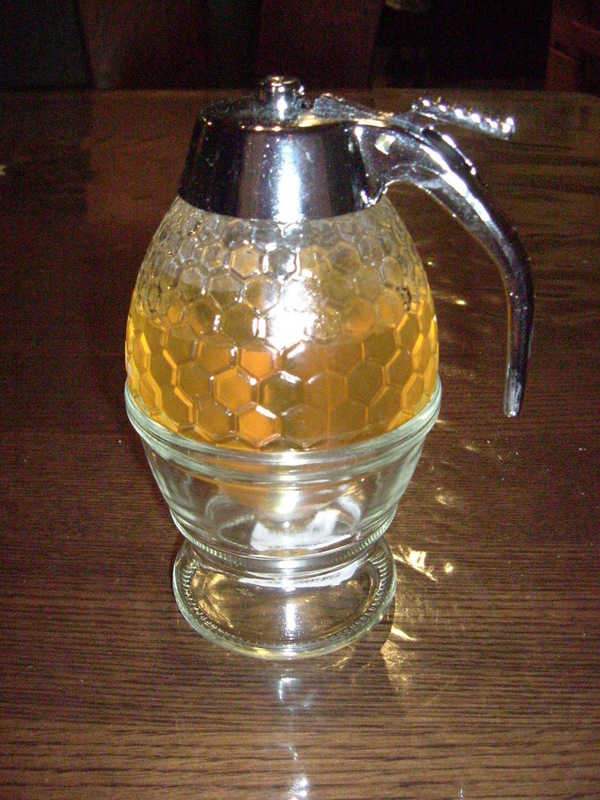 this on the table and smear the honey on the bread or pour it into the tea every morning. 한글 문자를 표시하기 위해서, 무엇인가 특별한 소프트가 필요하다고 생각했지만, 윈도우즈에 표준으로 부속되어 있었어요. 저는 KUMO(닉네임) 라고 합니다. 일본 사람 입니다. 에히메현 마쓰야마시에 살고 있습니다. 직업은 외과의 입니다. 위나 대장 간장 등을 수술 합니다. 가족이 다섯명 입니다. 딸이 세명 있습니다. 각각 대학생 고교생 중학생 입니다. 장녀는 동경의 대학에 다니고 있어서, 지금은 네명이 살고 있습니다. 저의 취미는 많이 있습니다. 먼저 등산 입니다. 삼십년전 부터 산에 오르고 있습니다. 최고도달고도 는 3954 미터 입니다. 산에서 먹는 식사 와 마시는 술은 맛있습니다. 산의 친구둘은 최고 입니다. 언젠가 히말라야에 오르는 것이 저의 꿈 입니다. 꿈은 클수록 좋거든요. 다음은 바이크 입니다. 대학생 시절에 운전면허를 따서, 계속 타고 있습니다. 결혼 하고나서 부터는 삼년에 한번정도 바이크로 여행하고 있습니다. 금년 여름은 아오모리현, 이년후에는 한국를 오토바이로　달립닐게요. 그리고 스키도 합니다. 삼월에는 카나다로 스키를 갔어요. 스키도 학생시절에 시작했어요. 그러니까 이제　20년 이상에 됩니다.